The feature that was first demonstrated during Google 2018 I/O Conference has finally reached the testing phase. The AR navigating and positioning capabilities have excited early reviewers with its accuracy and reliability. Google Maps Local Guides are to get it next, and everyone will follow soon after that. 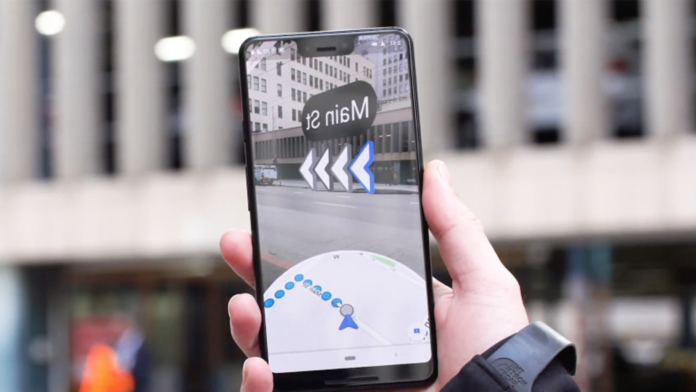 A small subset of users is now able to lift their phones while using Google Maps and get AR (augmented reality) directions like live arrows pointing in the right way on top of the real-world camera feed. This revolutionizing feature was unveiled during the last year’s I/O developers conference, so it’s time for some extensive field testing now. The rest of us will have to wait until it’s deemed ready for a couple more “Local Guides”, and after another round of polishing it will reach the masses. The first indicators of when this will happen based on the existing operational state of the feature are reportedly quite positive. Early reviewers claim that the new feature was able to recognize landmarks and other specified points of interest in the US. While this is one useful aspect of using the camera actively on Maps, the other one is not losing direction steps or getting confused as easily while driving. Augmented reality features are especially useful whilst zooming around with your car, when you need to get as much information as quickly as possible. When walking around, Maps allows you to only use the AR layer momentarily, urging you to put your device down and return to the standard map interface mode. This is done because the feature is not yet ready for continuous navigation, but more like to help you get past moments of bewilderment. The energy consumption of the device is one consideration anyway as if you used AR features on Maps for extended periods of time it could potentially lead to quick battery drain. You’re only meant to use it when you really need it, at least for now. 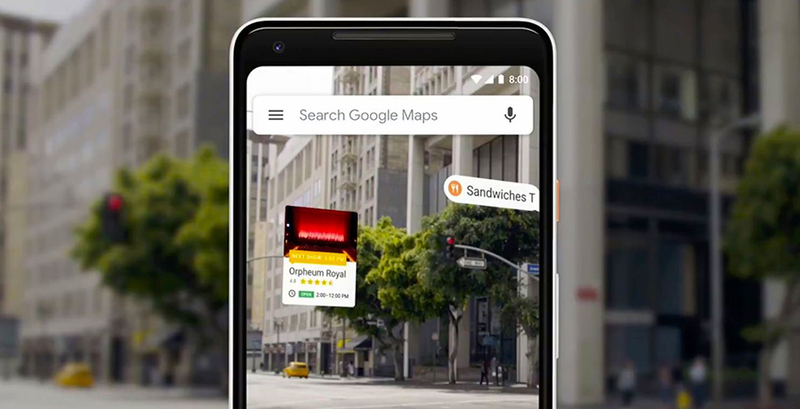 Google’s user-experience lead, Rachel Inman, suggests that getting around complicated intersections and finding hidden alleys are typical use case scenarios of AR on Maps. The way this new feature works will make it invaluable to tourists as well, since sweeping your surroundings with your camera will generate AR pop-ups, indicating where that restaurant or museum, or hotel, or landmark you’re looking for is. This sounds similar to Yelp’s Monocle feature that has been around for years, but Google’s approach is more polished, better backed by data, and more affluent. While AR glasses is something that Google has left aside in the past couple of years, this new feature looks like it was directly developed for this type of utilization. Google only makes glasses for the enterprise sector and production environments, but this gives a glimpse of the consumer potential. Maybe we’ll see Google Glass return to the consumer market with solid AR goodies like the Maps feature. In any case, we’ll have to wait and see. How do AR Navigation and Visual Positioning on Maps sound to you? Do you think they’ll change the way people use their devices to navigate around? Let us know of your opinion in the comments section beneath. Also, don’t hesitate to share this story by visiting our socials, on Facebook and Twitter.